Aurora Lunare formed in 1978, but for a variety of reasons they never released an album until 2013. As a companion to their 2018 release, they provided a copy of their self-titled 2013 debut. Initially I was not impressed with the first track “Evasione di un’Idea” as their music evaded me. But after a few minutes the lush electronics, Mellotron, and their brand of Italian prog grew on me, with this song ending on a majestic note. Their keyboardist has excellent chops, as evidenced on the neo-classical piano solo opening of ‘Eroi Invicibili… Son Solo I Pensiero.” And over course of this song, Aurora Lunare produces excellent symphonic 70s Italian prog that reaches a climax with a beautiful cathedral organ solo. The rest of the album continues in this vein with Mellotron, analog synths, and flute showing influences from Camel, Genesis, and a bit of Ian Anderson. And the album closes with a cover of the final two tracks from Le Orme’s classic Felona e Sonora. The first part is a delicate reading of “All’Infuori dei Tempo,” but “Ritorno al Nulla” is far better, capturing the grittiness of Le Orme’s orginal and taking it step further. 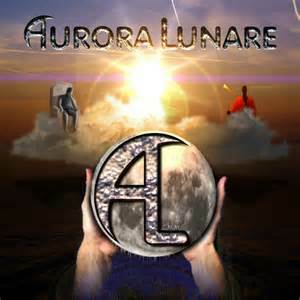 Aurora Lunare is sure to please all fans of classic Italian prog rock. Promotional materials don’t always get distributed promptly (this one, released at the end of 2013, didn’t end up in my hands until the end of 2015), and things don’t always get reviewed promptly either – here it is two years later and I’m just writing about it now, but it’s way too good to just waste away in that pile of stuff that never received a proper review. The band itself was subject to even more serious delays, as well: formed in 1978 in Livorno by a group of friends, they started out covering the songs of Banco, Le Orme, PFM and other great Italian bands of the era but eventually developed their own original repertoire, following in a similar progressive style of the great bands of a few years before. But by 1980, when Aurora Lunare was ready to unleash their original music, styles were changing and for a new band to get signed, the prospects were not so good. The band remained together for several years, hoping against odds that their fortunes might change, even adopting a slightly more contemporary sound after 1981 in an effort to get their due, before fading into the fabric of forgotten artists. The band remained in touch, and in 2007 reformed with some members old and new: original bassist Luciano Tonetti (and primary composer in the pre-1981 period), original singer and keyboardist (and chief composer in the post 1981 period) Mauro Pini, and drummer Marco Santinelli who pulled the group back together, are now joined by keyboardist Stefano Onorati. They are joined by a number of guests, track depending, including original member Corrado Pezzini (vocal midi-synthesizer), Tolo Marton (electric guitar), Gianluca Milanese (flute), Nicola Santinelli (classical guitar), vocalist Greta Merli, violinist Valentina Cantini, and Graziano Di Sacco (vocal effects). A lot of players and singers working together to present some material originally developed in the late 70s and early 80s intended for their album that never happened, plus plenty of newly composed material as well, eight original tracks in all, and their version of an eight minute section of Le Orme’s Felona e Sorona. This disc should certainly be of interest to all fans of the classic Italian symphonic rock sound.